Blockchain is a decentralized, distributed public ledger used to record data and transactions across a network of many computers. Because the data is stored in “blocks” across the network, it is immutable and tamper-proof because the data cannot be changed retrospectively as doing so would be traceable. In other words, each piece of data can only have a single owner. Blockchain technology underlies cryptocurrencies such as Bitcoin, Stellar, Ethereum, and Ripple.. 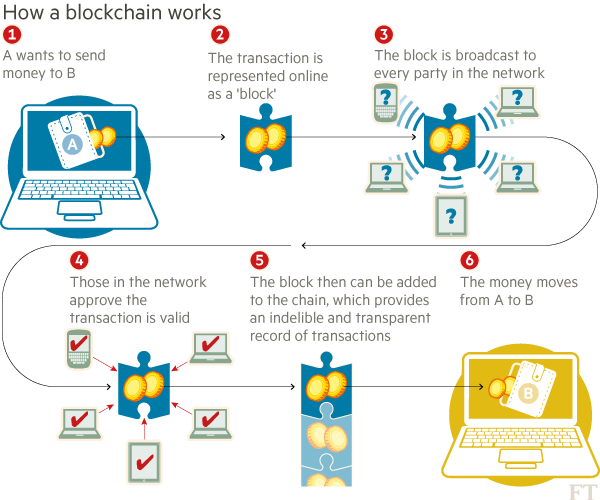 The blockchain monitors and verifies a given transaction (and its uniqueness) by calling on a decentralized network of nodes, which then vote on the order that transactions have occurred. Once the nodes reach consensus that all recent transactions are unique, they are sealed into a block. What then is a block? A block is simply a record of those new verified transactions. A block is formed and added to a chain, preserving the set immutable records. This verified information is constantly added to the database and updated instantly. The blockchain uses distributed storage, meaning it exists in millions of locations simultaneously. This provides extra security, and makes the data harder to hack.